Were you looking for positive bisexual and asexual/aromantic representation? Announcing a little surprise: two short stories to join the Mangoverse series! 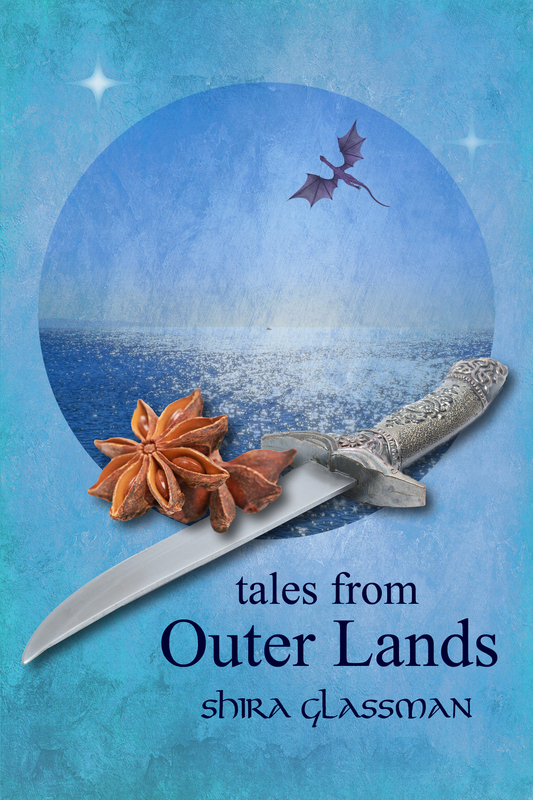 Tales will be sold as an eBook on February 11, 2015 and will be included free as a bonus at the end of the A Harvest of Ripe Figs paperback release. “Aviva and the Aliens” is a science-fiction farce starring Perach’s bisexual chef-turned-royal-mistress. On the night before the royal Passover seder, Aviva has to outsmart the aliens who abducted her to cook for them because they had grown sick of their spaceship’s food replicators. Will she get home before Queen Shulamit wakes up and panics from her absence? Tune in for a kickass curvy brown bisexual woman rescuing herself! “Rivka in Port Saltspray” is a dark piece of fantasy/action about one of Rivka’s adventures during her years on the road before settling down in Perach as Shulamit’s captain. Trapped in a seedy port town because an innkeeper is holding her shapeshifting dragon-horse hostage until she can pay all the charges he invented, Rivka finally has a chance at some decent money when a wealthy but weak man hires her to rescue his fiancée. But she quickly learns there is more at stake. This story contains an important aromantic/asexual character, and the only romantic pairings mentioned at all are background and/or off-screen. Warning for violence. This entry was posted in Mangoverse and tagged ace, alien abduction, aromantic, asexual, asexuality, Aviva and the Aliens, bi, bisexual, Bisexuality, Dragon, dragons, fantasy, femslash, humor, jewish, lgbt, Rivka in Port Saltspray, sci-fi, science fiction, short stories, warrior, warrior women, writing. Bookmark the permalink. 3 Responses to Were you looking for positive bisexual and asexual/aromantic representation? …i still can’t believe it’s literal aliens. I’m still not entirely sure that one is canon 😉 It’s very silly! Think of it as the “Passover Special” the way some TV shows have a Christmas special in which supernatural things happen that wouldn’t happen in the regular show. The Rivka one is absolutely canon, though.